Jews in Bohemia (also known as Bohemian Jews/Czech Jews or, in some cases, Austro-Hungarian Jews), today's Czech Republic, are predominantly Ashkenazic Jews, and the current Jewish population is only a fraction of the pre-WWII Czechoslovakia's Jewish population. 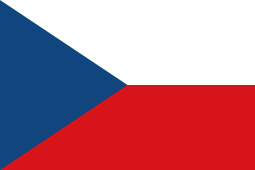 As of 2005, there were approximately 4,000 Jews living in the Czech Republic. There are ten small Jewish communities all around the country (seven in Bohemia and three in Moravia). 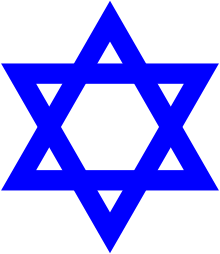 The umbrella organisation for the Jewish communities in the country is the Federation of Jewish Communities (Federace židovských obcí, FŽO). Services have been held in Prague and some other cities. Most Slovak Jews were deported by the pro-Nazi Slovak Fascist government directly to Auschwitz, Treblinka, and other extermination camps, where they were murdered. Most Czech Jews were initially deported by the German occupiers with the help of local Czech Nazi collaborators to Terezin, known in German as Theresienstadt concentration camp and later killed. However many Czechoslovakian children were rescued by Kindertransport and escaped to the United Kingdom and other Allied countries. Some were reunited with their families after the war while many lost parents and relatives to the concentration camps. Jews are believed to have settled in Prague as early as the 10th century. The 16th century was a golden age for Jewry in Prague. One of the famous Jewish scholars of the time was Judah Loew ben Bezalel known as the Maharal, who served as a leading rabbi in Prague for most of his life. He is buried at the Old Jewish Cemetery in Josefov, and his grave with its tombstone intact, can still be visited. It is said that the body of Golem (created by Maharal) lies in the attic of the Old New Synagogue where the genizah of Prague's community is kept. In 1708, Jews accounted for one-quarter of Prague’s population. ↑ "YIVO | Czechoslovakia". Yivoencyclopedia.org. Retrieved 2013-04-16. ↑ "YIVO | Population and Migration: Population since World War I". Yivoencyclopedia.org. Retrieved 2013-04-16. ↑ "The Jews and Jewish Communities of Bohemia in the past and present". Jewishgen.org. 2013-04-02. Retrieved 2013-04-16. ↑ "Czech Synagogues and Cemeteries". Isjm.org. 2003-01-04. Retrieved 2013-04-16. ↑ "The Holocaust in Bohemia and Moravia". Ushmm.org. Retrieved 2013-04-16. ↑ "''The Golem'', Temple Emanu-El, San Jose". Templesanjose.org. Retrieved 2013-04-16.